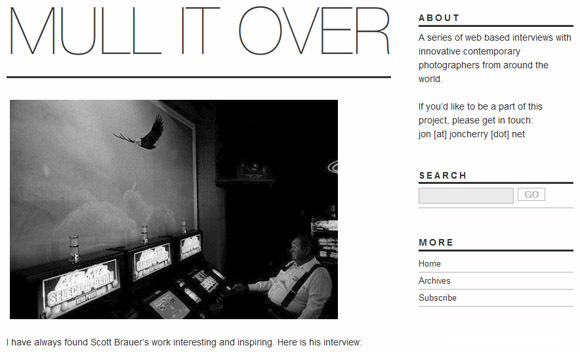 A while back, Jonathan Cherry asked me if I’d answer a few questions for his new project, Mull It Over. After delays on my part, the resulting interview is up on his site, alongside the likes of Daniel Shea and Phillip Toledano and Emilio Granado and others. The process gave me a chance to think about my own work in a way that I haven’t done so recently, and for that alone the interview was valuable to me. Big thanks to Jon Cherry for the opportunity to be a part of his project.